Among the most fascinating of plants, hemp is also one of the most diverse in terms of its applications. In addition to its use in food, clothing, textiles, rope and automobiles, it is stacking up well against traditional materials in the construction industry. Hemp is most widely used as a primary building component of construction in a product known as hempcrete. Lime is mixed with the woody, balsa-like core of the hemp plant, the shiv – which might otherwise be a wasted byproduct – to form a paste or slurry that quickly dries into a highly effective, airtight yet breathable, thermal and acoustic insulating material. Hempcrete is flexible, lightweight, free from toxins, and is even resistant to fire and some pests. The cost is equal to or less than traditional insulating products such as fiberglass and concrete. Hempcrete’s thermal properties typically outperform and outlast traditional insulation products, especially synthetic materials. Traditional materials are typically mined or manufactured, taking a much greater toll on the environment than eco-friendly hemp. Hempcrete is sold under a variety of names and is available in several forms: pre-cast blocks or “bricks,” slurry that can be sprayed into tight spaces, and pre-cast panels. Panels may include a hemp-fiber quilt insulating layer in addition to hempcrete, providing better insulating performance. Panels are often timber-framed, yielding structural panels that can be assembled onsite. They combine support and insulation and form an airtight, thermal envelope. These panels are suitable for one- to three-story structures such as large residences, schools and commercial buildings. This innovative insulation was developed in the 1980s in France. But hemp’s roots in construction date back centuries to homes in Japan and Merovingian bridges in ancient Gaul. Widely used across Europe, hempcrete is a component in both residential and commercial construction including in a seven-story office tower in France, a Marks and Spencer department store in the United Kingdom, and in The Prince’s Natural House, a project of Prince Charles’ Prince’s Foundation. A prime example of hempcrete’s virtues is the Adnams Brewery Distribution Center in the East Anglian countryside of England. A year into the new facility yielded savings of 40% electricity and 10% gas compared to the old facility. Because of hemp’s ability to capture and retain CO2, this structure sequesters 150 tons of CO2. According to owner Jonathan Adnams, the same structure built using traditional concrete block would have emitted 600 tons of CO2. As hemp becomes more readily available in the US, its demand in the construction industry is on the rise as it inspires innovative housing trends. Tim Callahan, an architect in Asheville, NC, is a member of the team that created the 2010 Nauhaus, thought to be the first home in the US to use hempcrete. He notes one of the challenges is that inspectors are still determining how to evaluate this non-traditional material. James Savage of New York, through his company, Green Built, is focused on pre-cast sections of hempcrete and is producing 400-foot tiny houses made of two or three circular, shippable panels. In addition to hempcrete and hemp-fiber quilt insulation, hemp is used in the manufacture of strong, breathable fiberboard. It is also used in flooring and is a sustainable alternative to timber in a variety of applications. 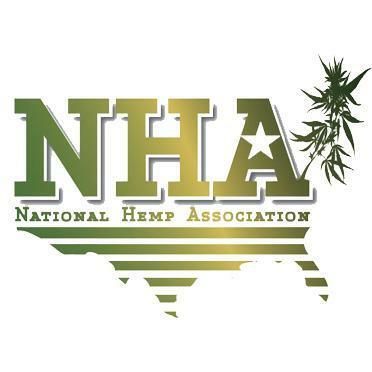 In yet another arena – the construction industry – hemp is proving to be an agent of transformation and revolution.